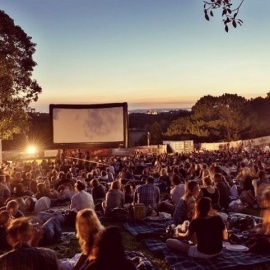 One of building’s main attractions is the speakeasy bar that has been around since The Belvedere first opened its doors. The bar remained nameless for many years but it instantly became the ultimate gentlemen’s drinking establishment, even during the prohibition years. It was in those dry years that the owners brought in its now famous owl statues, and so the name The Owl Bar was born. The true meaning behind the statues was never revealed but one thing was certain: if the owls had their eyes lit, alcohol was being served and customers were hustling in. 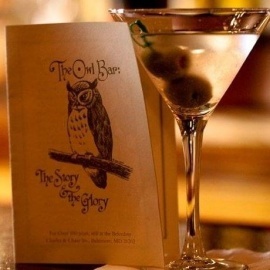 Over 100 years later the Owl Bar is still Baltimore’s destination for delicious food and drink served with a rich past and historic atmosphere. 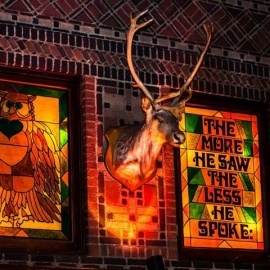 The Owl Bar features 20 draught craft beer selections, cocktail and wine list, brick oven pizzas and paninis, and full brunch, lunch, and dinner menus.